I am confused and amused. My community library is moving into technology that as a Luddite I find confusing. Floppy Disks are technology that is practically extinct. So I suppose that the format on this is or will be accurate within a few years. Sure sounds like it has been dug up and cataloged. 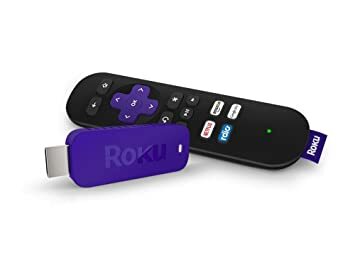 The Roku Streaming Stick is a portable streaming media player that grants access to movies, television shows, news, and other content. So wait, the local library is lending out Roku devices? That's cool! I wonder if the library has a Roku account, or you still have to have your own? The former would make much more sense, I suppose.